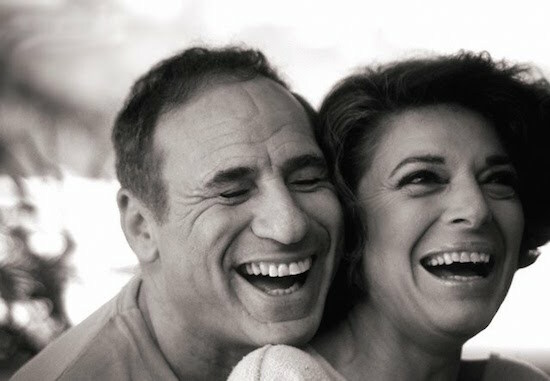 Was one of entertainment’s oddest couples – the dramatic actress Anne Bancroft and the wacky comic genius Mel Brooks – all that much a mismatch? 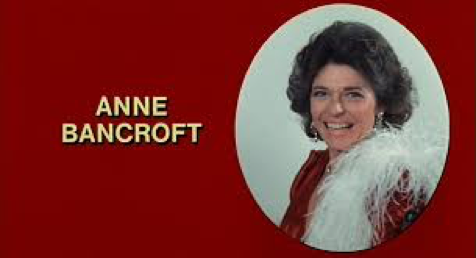 That’s a question I pondered at times when I explored her career for my new biography Anne Bancroft: A Life. The conclusion I reached: I don’t think they were all that different in their personal lives, at least from what we can see from the outside. Professionally, they were miles apart most of the time. But what makes a marriage? They were together more than 40 years. Sure, on its face it would seem that the woman who starred in “The Miracle Worker” on stage and screen and appeared in other movie dramas like “The Pumpkin Eater” and “’night, Mother” wouldn’t be caught dead in the same room as the crazed writer and director of “Blazing Saddles” and “The Producers.” Yet they were together for more than four decades after meeting at a rehearsal for singer Perry Como’s TV show in 1961. 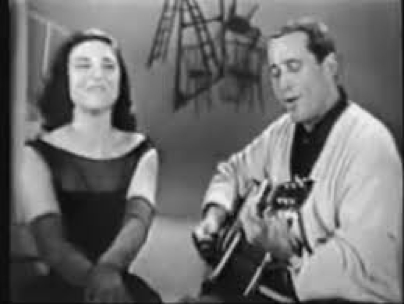 Bancroft and Perry Como in the early 1960s. Mel probably toned it down when he first met Anne. “Just like that,” she recalled. “He talks that way. 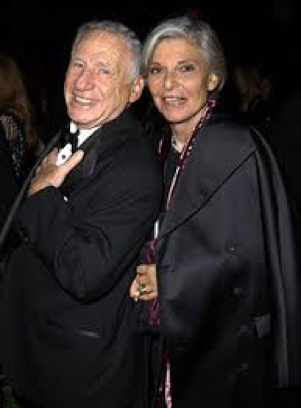 I liked him.” Brooks’ career was in the doldrums at that point while Anne’s was riding high. He was married, too, with children, but the marriage was nearing its end. Anne had been divorced from her first husband five years earlier. Their courtship was long – neither was anxious to marry again – and ended at City Hall in 1964. 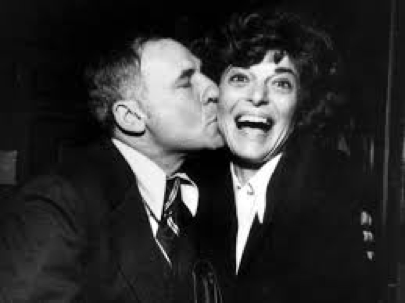 The headline in the New York Times read, “Comedian Weds Anne Bancroft.” It began as a one-star family. 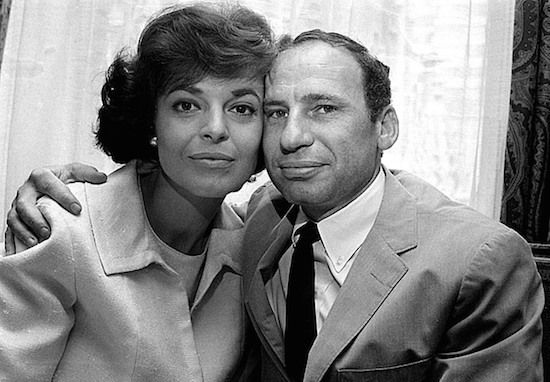 At the time of their marriage in 1964. Busted marriages were not the only thing they had in common. Both were native New Yorkers with ethnic backgrounds; the Italian-American girl grew up in the Bronx, the Jewish American boy in Brooklyn. Both were interested in performing at an early age; he played drums as a teenager, she was acting in high school and then attended drama school. 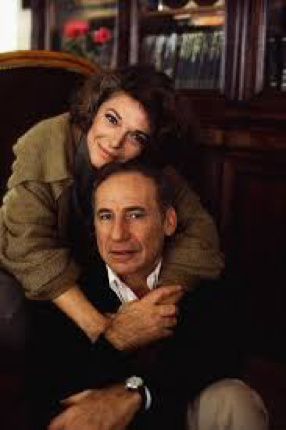 Both had worked in live TV and in the theater. Both had intellectual pursuits; hers was in science, his in Russian literature. They preferred evenings out or at home with friends instead of the Hollywood party scene. And both loved to laugh. Anne had a sense of humor, too, but Mel was irrepressible. 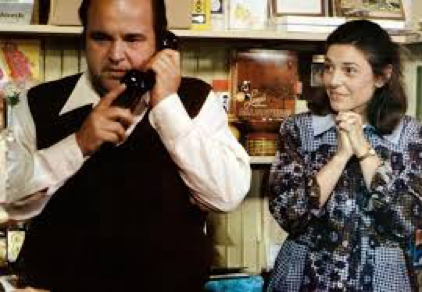 And jump she did – right into Mel’s arms … and into Dom DeLuise’s and Marty Feldman’s. 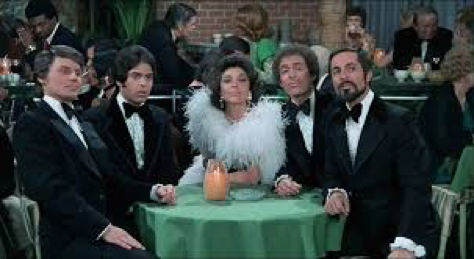 For Mel’s “Silent Movie” (1976) Anne appeared in a nightclub scene as herself, accompanied by four younger men, a sly nod to her “Graduate” persona. She is one of the big stars director Mel Funn is recruiting for his dream project, Hollywood’s first silent movie in a generation. Their madcap dance showed everyone that Anne had a sense of humor and could make fun of herself. Anne and her young men were a ‘Graduate’ in-joke. Mel directed his wife on screen one other time, in a comic turn in his late-career movie “Dracula: Dead and Loving It” (1995). 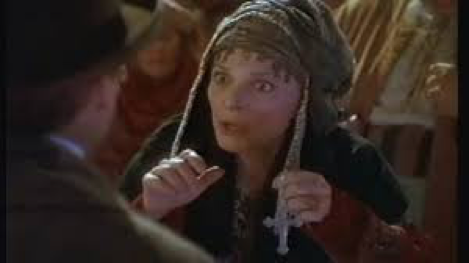 Anne played a gypsy woman warning of the terrors of the night, a kind of kooky Maria Ouspenskaya. 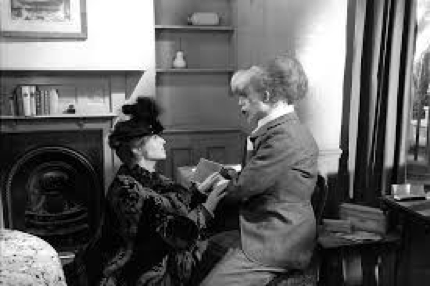 Brooksfilms also produced “The Elephant Man” (1980), the David Lynch-directed drama in which Anne played a British actress who brought the disfigured recluse John Merrick into high society. 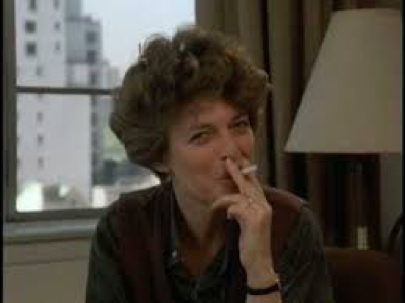 I’m told that Mel didn’t force Anne on Lynch and didn’t force her into the project. 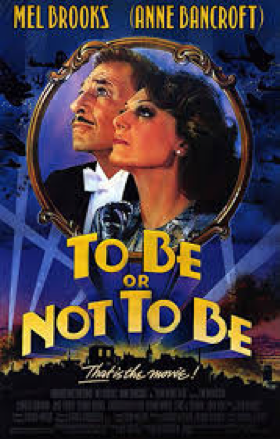 She joined a fine cast, an American among Brits Anthony Hopkins, John Hurt and John Gielgud. One of the little gems of Anne’s latter career came by way of Mel. She had loved the book “84, Charing Cross Road” and its story of bibliophiles separated by an ocean. Mel bought the film rights for her as an anniversary present. It was her third film with Anthony Hopkins, though they never shared a scene, given the nature of the story (the other was “Young Winston”). In researching Anne’s life and career, I didn’t come across anything to suggest that theirs was not a happy marriage. They sounded genuine when they discussed it publicly, not afraid to say they fought at times. Appearing on “Today” in 1983, Mel was asked if they still loved each other after 20 years. If they weren’t happy together, I don’t want to know. The party went on for years and years. That was a line – “the party’s going to start” – Anne used again and again when the question of their marriage came up. The image of those opposites attracting, through thick and thin, makes my heart flutter, too. 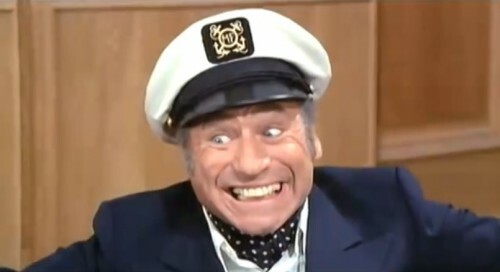 This entry was posted in Guest Posts and tagged anne bancroft, author Douglass K Daniel, douglass k. daniel, mel brooks. Bookmark the permalink. Thanks for this look into a celebrity marriage. Like you, “If they weren’t happy together, I don’t want to know.” Not in general, for all celebrity marriages, but for this particular one. I want to believe that we have a choice: you can laugh or you can cry, and if you choose to laugh, everlasting love can happen. It’s refreshing to read about successful Hollywood marriages, particularly one like Bancroft and Brooks. It’s proof that career and different personalities don’t have to be an obstacle to a successful relationship. It’s incredible how opposites not only attract but have so much in common I loved the movie, Dracul: Dead and Loving It and her role was perfect. I’m glad she wanted to work with him, even though their styles are so completely opposite because together they were golden, I wish they could have done more together. Thank you for this post. It sums up the beauty and everlasting love between Brooks and Bancroft. Opposites can attract and lead to long-lasting love. They seemed like the most unlikely couple, but that’s what made them an incredible couple. Comedy and drama can be a perfect mix. Thank you for this post. I totally forgot about the movie “Fatso.” I didn’t realize she directed and wrote the script. I guess I just always thought about her as an actress and not someone behind the scenes..